Do you like Traffic Chaos? Share it with your friends. 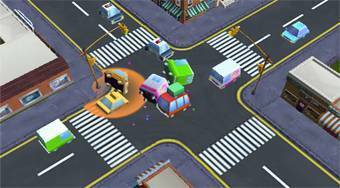 Traffic Chaos is an excellent perception game in which your task will be to ensure safe and smooth traffic at the busy intersection in the city center. Klick on passing cars, stop them so that there is no smash and try to make the most money. Then buy new cars for you.